Over the years, our services have evolved to meet the needs of customers. Whether you live or play on the “Chain”, we can help you with your boating needs. We offer both inside and outside storage for boats, other watercraft and trailers. All storage is located on-site. Check out our great deals if you reserve your spot early! Take advantage of our convenient, low-priced maintenance services to keep your boat running great. 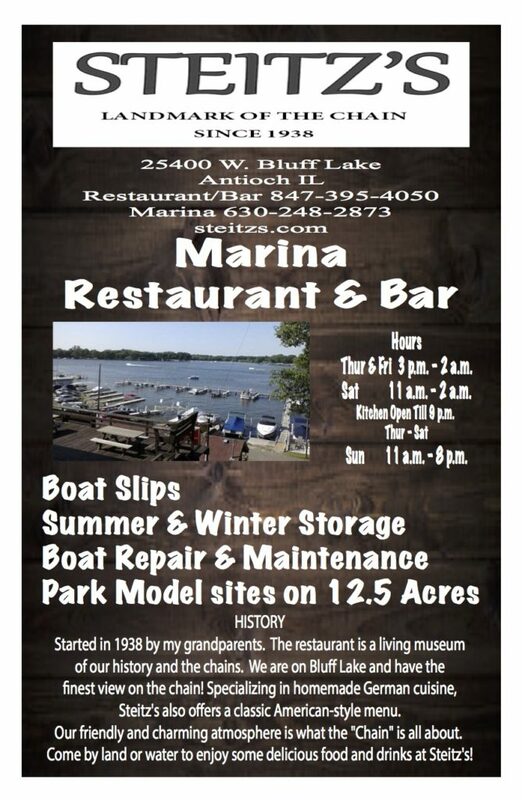 If you only need a place to launch your boat or you want your boat taken out of storage, just give us a call and we’ll get your boat ready for you! We also rent pier slips annually on a first-come first-served basis.